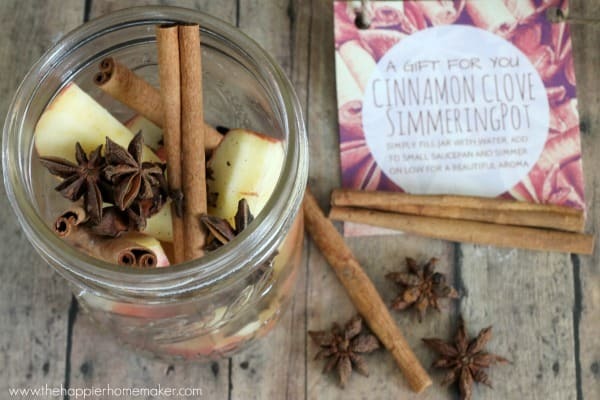 I’m a huge fan of simmering pots to scent my home naturally. I love that they are chemical free and I can be creative with combining different elements to make custom scents. 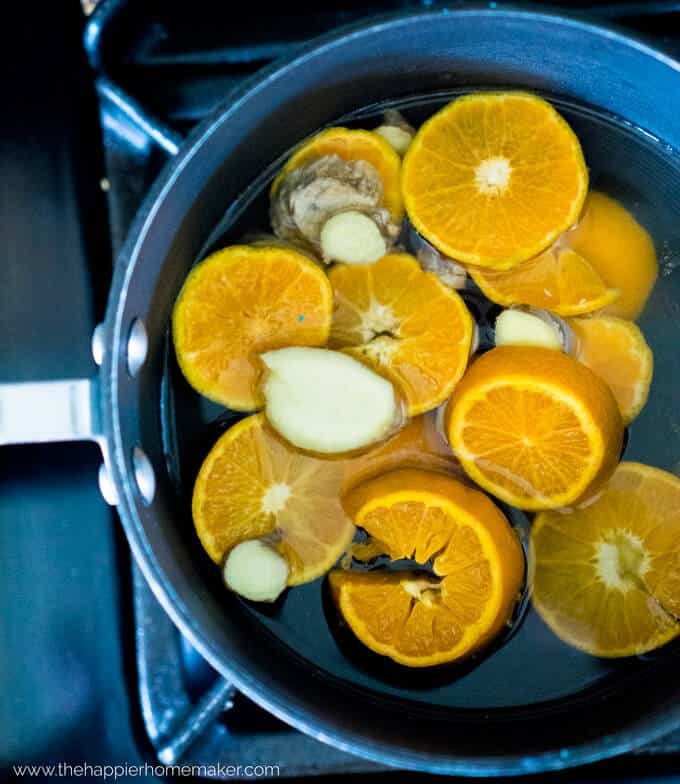 Today I want to share a simmering pot recipe that is perfect for spring-Orange and Ginger! 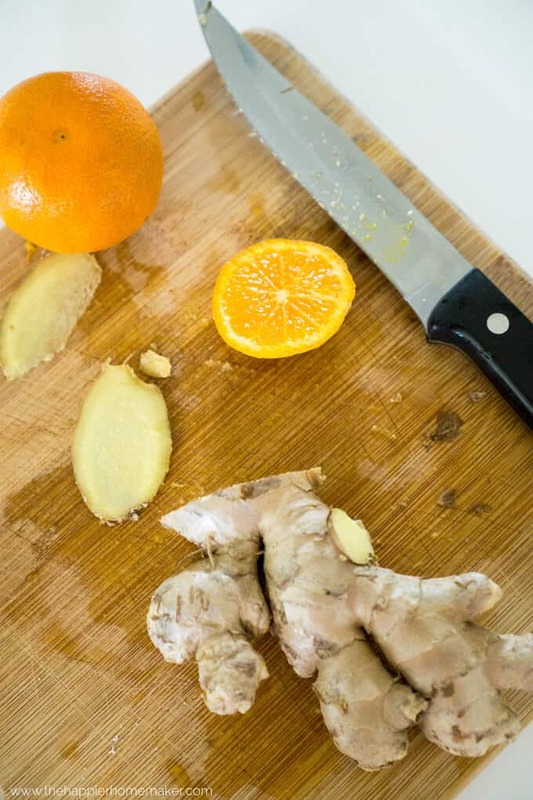 This combination makes a light, fresh scent that makes your home smell like you’ve spent the day spring cleaning! 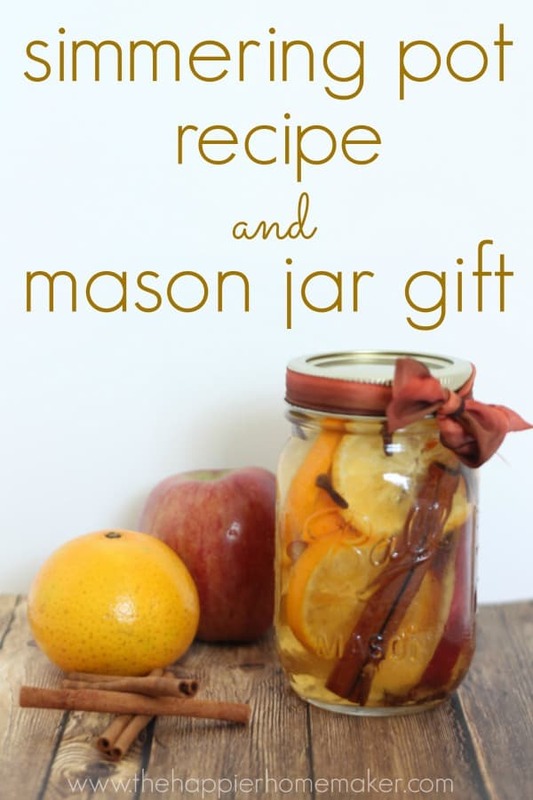 It also makes a beautiful homemade gift-just package it up in a mason jar! For a small simmering pot I used about 1/4 cup of sliced ginger root and 4 Halo oranges, also sliced. Combine in a pot and add about 4 cups of water. Simmer on medium low heat, replenishing water as needed. 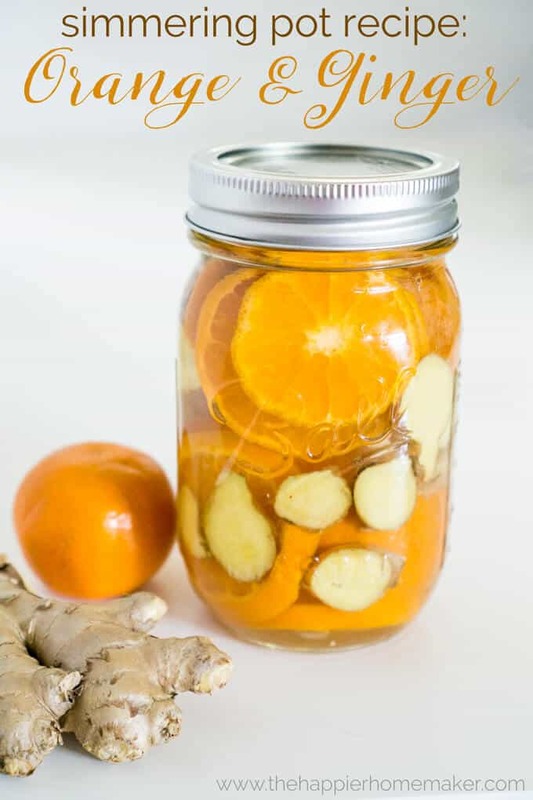 To reuse the simmer pot simply pour the contents of the pot in a mason jar or other airtight container and store in the refrigerator until the next day. I usually use mine about three days in a row before making a fresh pot. How do you like to scent your home naturally? What are your favorite springtime smells? thank you for promoting non chemical ways to create cozy in the home. Women don’t realize they are using chemicals with the artificial products that they would never allow to get near their families. I don’t do cinnamon so I will defiantly try this one. Love this! I’m gonna try making this one 🙂 Thank you for sharing! I am unclear what to do with the mason jar gift. Is this to heat in your own home for the sent or how do you use it?